What's Good at Pancake House Ayala Malls Vertis North? I remember the times I've been in Pancake House because for a big boy like me it was a bit sinful to eat in a place like this because I usually order the Lemon Tower which is consisted of 5-8 layers of pancakes drizzled with lemon sauce, lemon custard, sprinkled lemon rind, and tons of whipped cream. 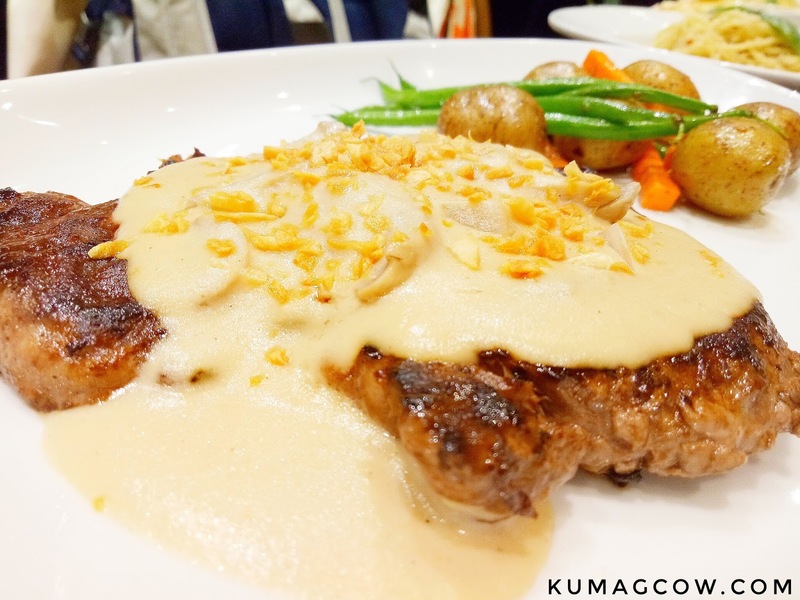 It was a dream and in my books it was the best concoction I could ever find in the Eastwood City branch's menu, but I didn't regret every single morsel I had to lick off the plate because it was really good. A few days ago, I was invited to the opening of their newest branch at the Ayala Malls Vertis North (situated right beside TriNoMa and aside from the festivities, I was actually looking forward to experience my Lemon Tower all over again, but aghast I was told they have already phased out this lovely thing from their menu. 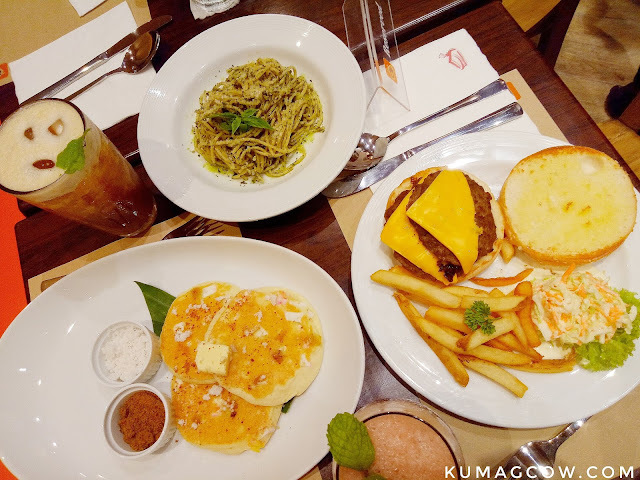 I didn't carry a sad face because honestly I was more relieved that there's a new Pancake House branch now near my home as I've been away from Eastwood for 3 whole years now. 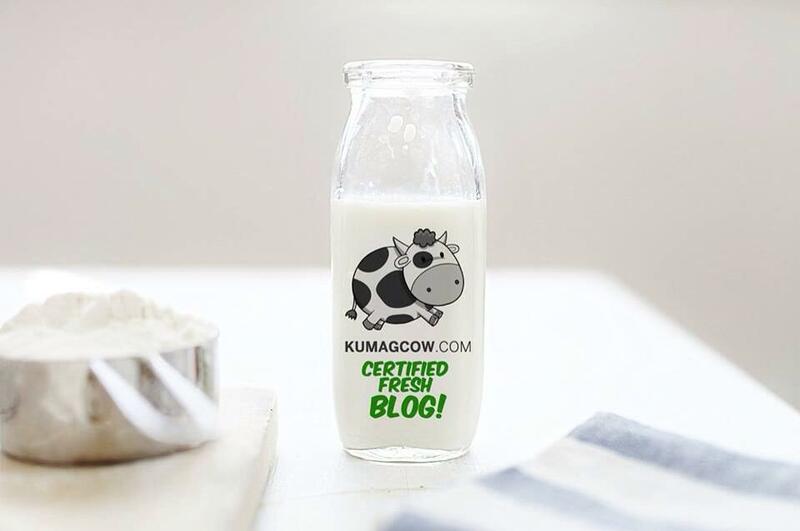 The moment I sat down with my blogger friends, I felt right at home. 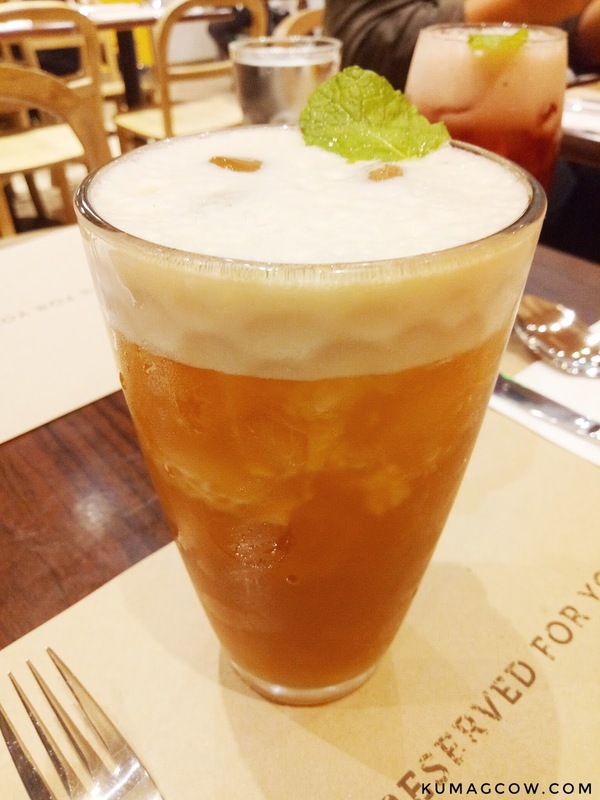 Peach Iced Tea - Tangy, Fruity and a little sweet, this Peach Iced Tea would get your thirst quenched fast. This is one of the new things they offer in this store, perhaps you wouldn't see this anywhere else. Blueberry Iced Tea - Your favorite cheesecake flavor in all it's fruit glory personified in a drink. 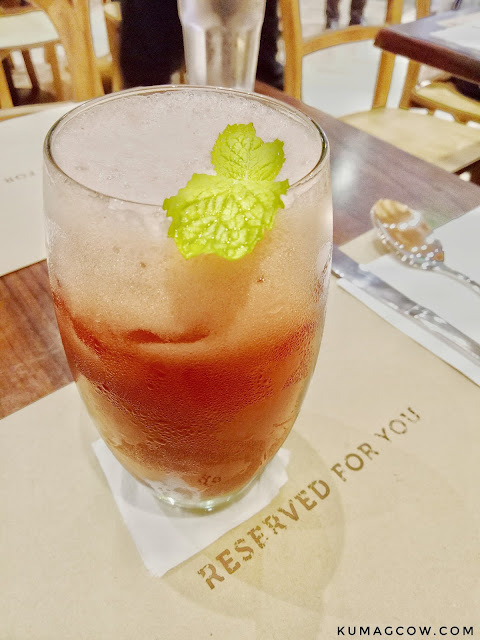 The Blueberry Iced Tea is tangy but not gritty, you would love to have this with waffles with blueberry compote while in this joint. Classic Cheese Burger - If you need to have a belly buster and something to make your hunger go away, their Classic Cheese Burger would fit that role. 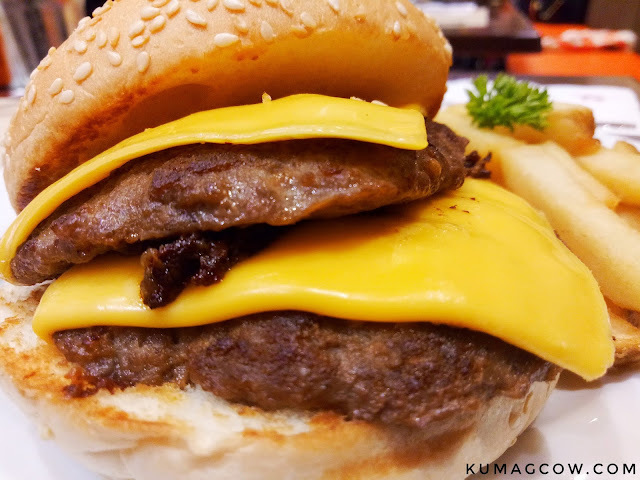 Two patties and layers of cheese, how can you go wrong with that? Then the pancakes came. This one is the Salted Egg Pancake. It reminds me a whole lot of the Filipino Bibingka or rice cake which is a staple of every snack during the Christmas Season. Although it's July, they make sure you have your fix of salted egg goodness in every slice. They don't hold back in ingredients so you'll definitely love this if you want salted eggs on everything LOL. 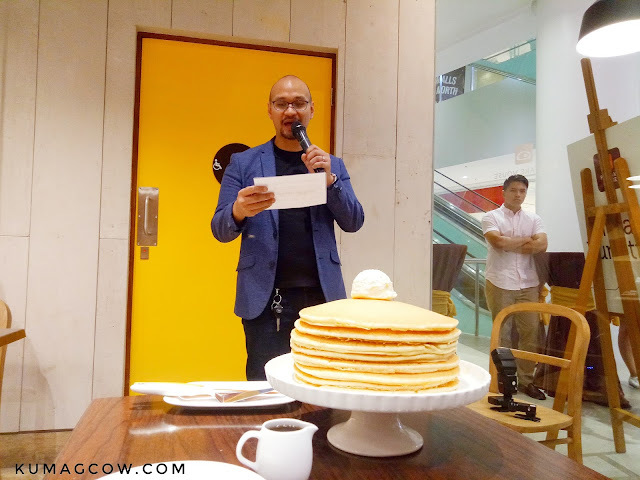 We went out of the store and saw the Pancake House Executives whip out their golden scissors to cut the ribbon and finally open their newest branch. 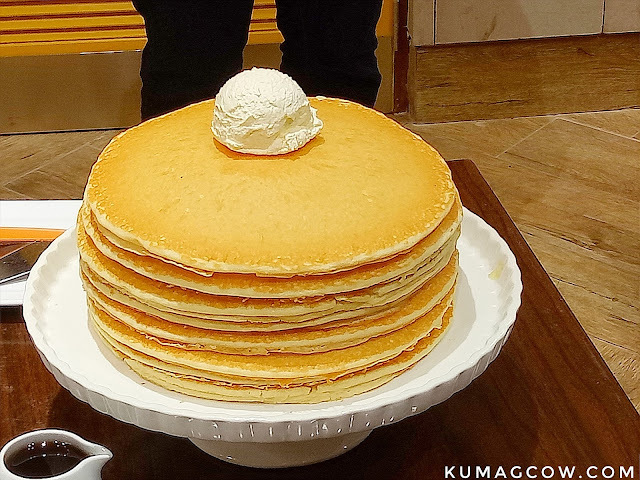 In every branch, they do a small ceremony that calls for the "slicing of the pancakes". The star of the show are these lovely, fluffy and creamy pancakes! I could smell the batter and maple syrup from a mile away! So good! Just look at this humongous pancake that they served just for this day. I remember my Lemon Tower looking like this except for the fact that it's got tons of lemon curd on it. Ah the memories! We went back to our table and saw additional things we ordered for dinner. I love the pastas! 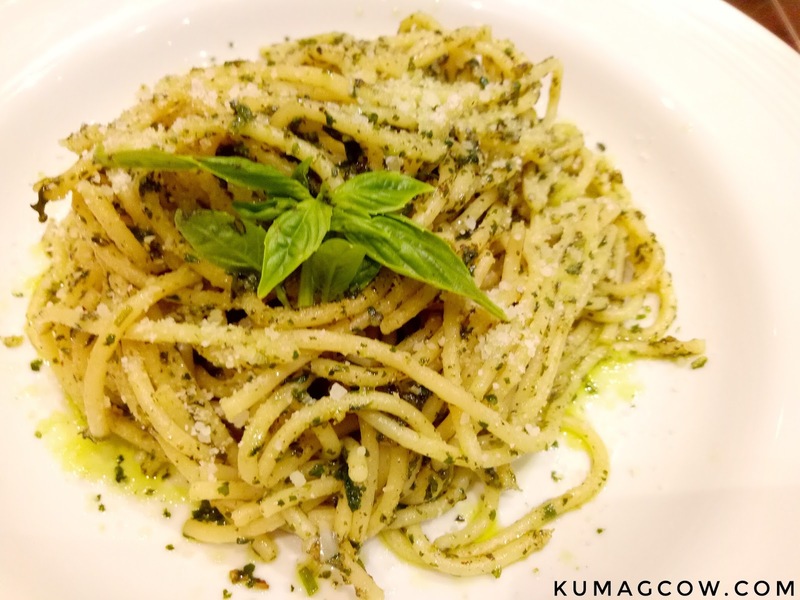 Pesto Pasta - My favorite pesto sauce got mixed with spaghetti. 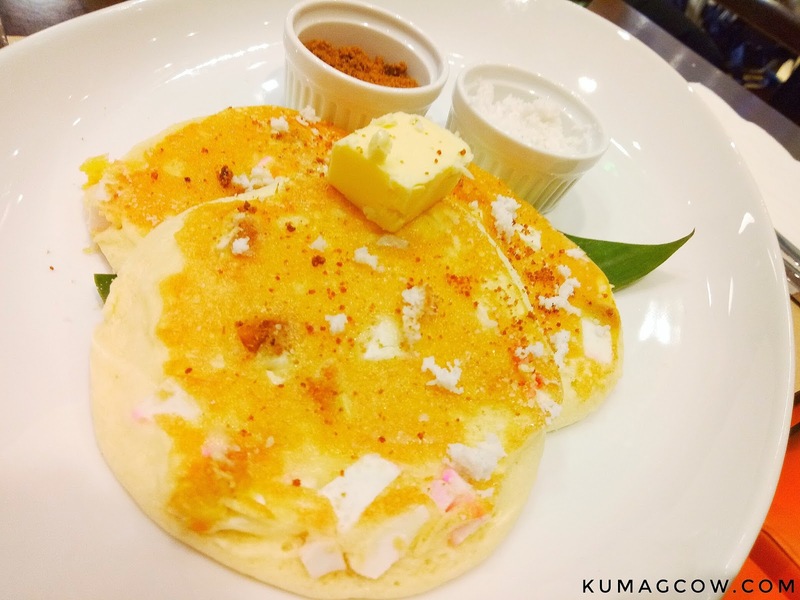 Their version was a little more on the safe side so it wasn't seasoned that much but I guess that's where you can ask for salt, pepper, and the additional parmesan cheese which you can ask from the nice people of Pancake House. They'll serve it right away. Steak A La Pobre - The meaning of "A la Pobre" may be demeaning for some people but if you think about it, it's just how to cook a tough piece of meat even if they had limited means in the past. Their Steak A La Pobre was well seasoned, seared medium well, and enveloped with a rich thick garlicky gravy. Who in the right mind would not love that? For those who love pasta like me, this is their Aglio Olio Pasta. It's not too oily, has just got enough garlic and bits of chili on it. 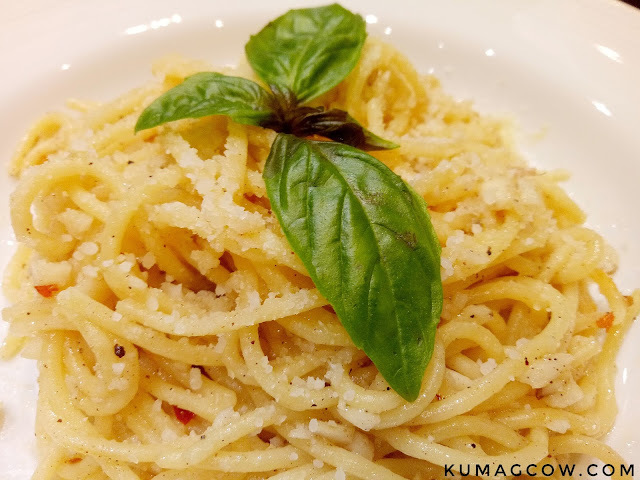 If you favor things that are spicy, this might be your best bet because even if it's not covered in sauce, the oil based gravy is enough to get you that needed flavor to enjoy this bowl of pasta. 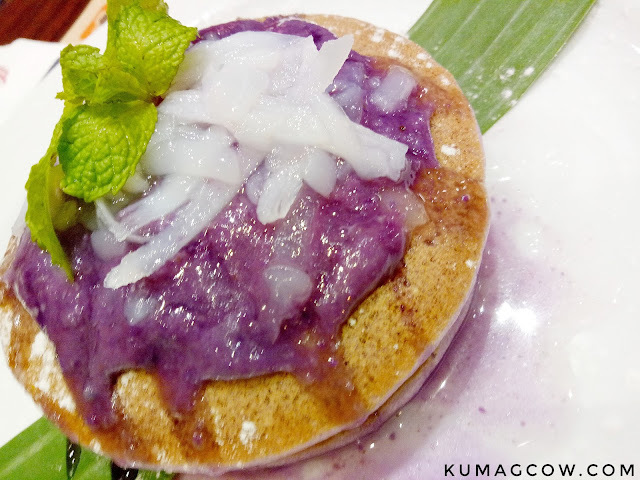 The Purple Yam Pancake takes use of the proven Filipino profile of combining purple yam (we call ube) and Macapuno (meaty coconut variety). I called it Ube Macapuno a couple of times because of the ingredients but I guess they prefer the popular new ube flavor to be the star of the show. I can't blame them though. 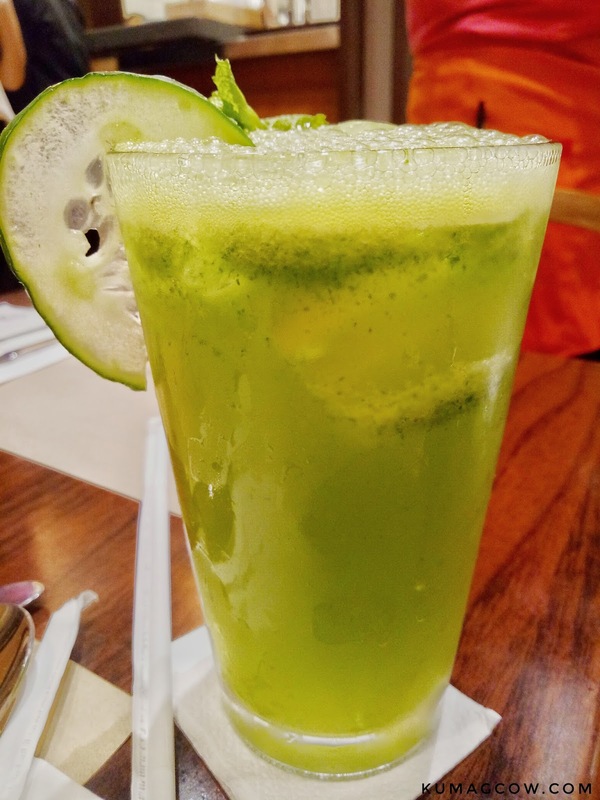 This is their Moringa Cucumber Cooler. Moringa is being mixed to bread, food items and drinks lately as it is known for it's nutritious content. I had this one and you know what? I thought I wouldn't like it. It turns out it's very refreshing, and all you gotta do is try it. Then we had our favorites! This is their Classic Pan Chicken. I got the version of having it with Waffles instead of rice. 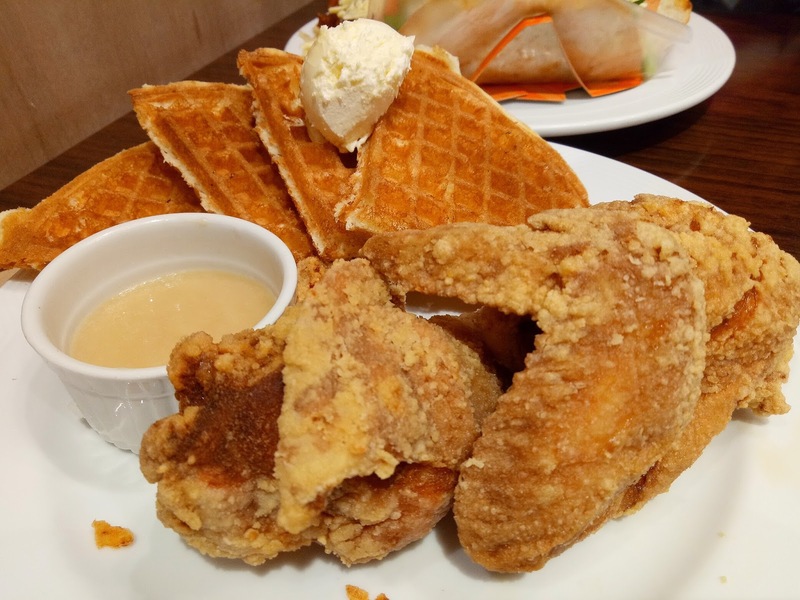 Those waffles are CRISPY good and the chicken had been a long time favorite of mine too. It brings back memories of those meetings I had when I still had a day job LOL. I think they probably have pre cooked and marinated this with buttermilk if I'm not mistaken. Those Southern Fried Chicken recipes must have had become handy. They're super good. This is their House Specials Set. 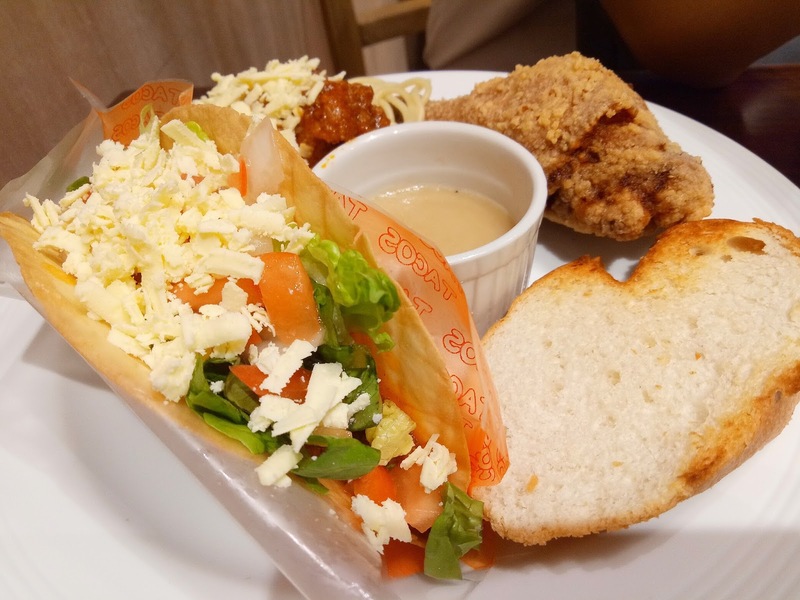 For those who couldn't make up their mind because they want everything on the menu, this one is composed of a Taco, Spaghetti with Meat Sauce, a Pan Chicken served with garlic bread and iced tea. You'll get everything nice rather than purchasing them individually, will save you a buck or two. 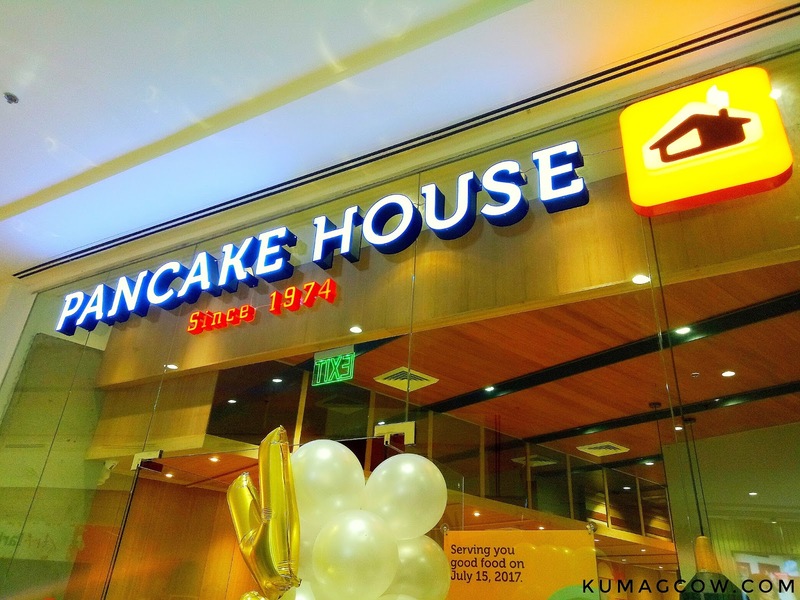 Pancake House is now near my house, I couldn't be more happy now that there would be more opportunities for me, my family and friends to make more memories here. Even though I've lost one of the items on the menu, I would still love to get those moments spent with them over MORE crispy Pan Chickens and layers upon layers of fluffy pancakes that only Pancake House can do. I've been eating there for 3 days straight and I've never gotten tired of their food. Those Pan Chicken pieces are the culprit, and if I were you, I'd try it too! 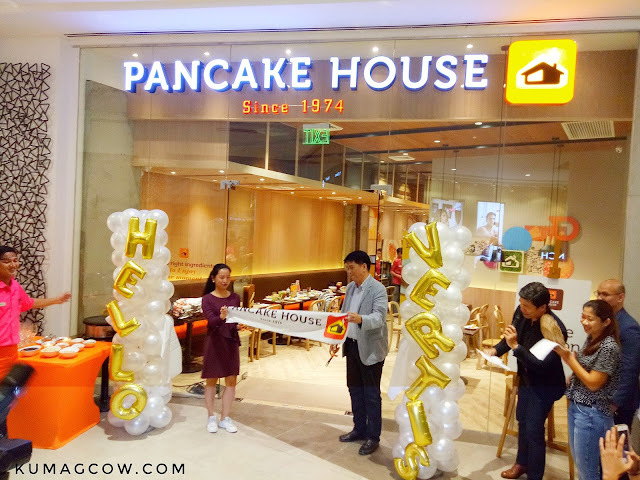 Pancake House is located at the Ayala Malls Vertis North Ground Floor. They are near the back entrance fronting Seda Hotel Vertis North and right across Bench, you wouldn't miss it. Just follow the scent of maple syrup and it will lead you there!